OPPORTUNITY, OPPORTUNITY!!! 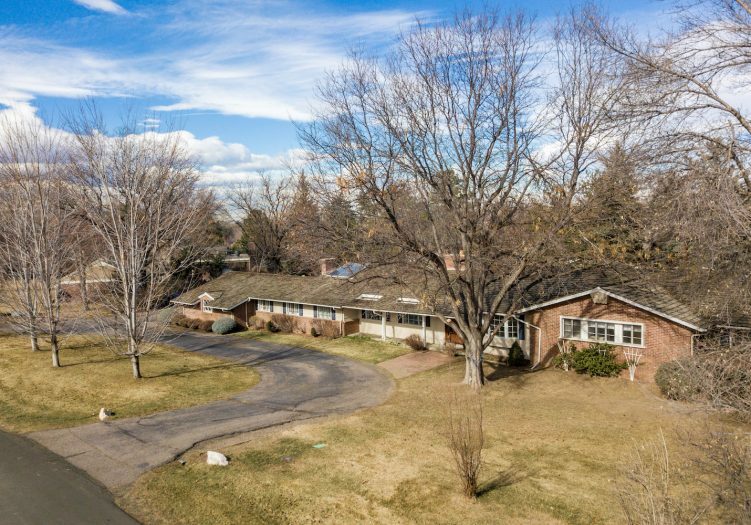 This charming all brick ranch style home located on a peaceful 1 Acre + lot in Cherryridge is the perfect opportunity to renovate a Cherry Hills Village Home with a pool and pool house. This home has great bones, a fabulous Great room with soaring ceilings and beautiful views of the backyard recreational lifestyle- perfect for entertaining! Main floor living and main floor master bedroom. Oak Hardwood floors throughout. Create your own dream home with lots of space. Fully fenced backyard with beautiful trees and flat lawn areas. Surrounded by newly constructed homes in the $2-$4.0 range, this is fast becoming a sought-after area to renovate or build a new luxury home. Separate Pool/guest house with Sunroom, bedroom and bath provides a unique opportunity for guests or separate studio. This perfect Site would allow for a walkout lower level on a new build. Walking distance to coveted Cherry Hills Village Elementary and St. Mary's Academy. SOLD AS IS!